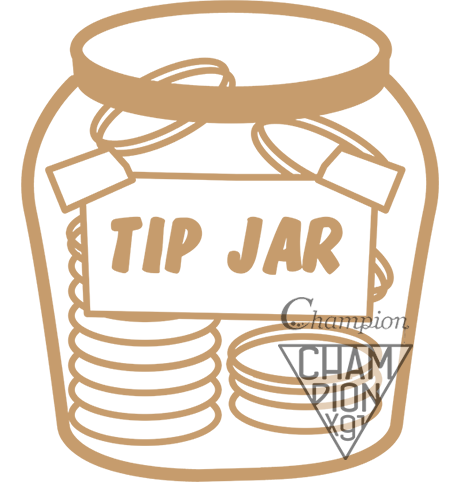 championx91 is creating content you must be 18+ to view. Are you 18 years of age or older? To put it simply, Patreon is a crowd-funding site like Kickstarter and Indiegogo. But the difference is, you're supporting individual artists in a monthly basis. I am championx91. You may recognize me from Deviantart and other social medias. Creating art is my lifelong passion, and I am so pleased to have you join me here in Patreon.com. I am a digital Artist, fan artist, photographer, gamer and cosplayer. Simple, what you pledge for! I have some great rewards to offer you, and I wanted to keep them at an extremely affordable price. The tiers start at just one dollar! As you can see on the right, there are some cool rewards. I hope I can convince you to at least take the $1 pledge, but you can go as high as you like. No matter what level of pledge you make, I thank you for it! No matter how much you decide to give, know that I am grateful that you invite me into your life each month by contribue to become my Patreon. By pledging a little bit of money each month you can help me make art for everyone to enjoy! You can pledge as much or as little as you want, and trust me, even one dollar would be helping out a lot! The more money you pledge the more rewards you’ll get, simple as that! Art is a very time consuming process and overall I just want to have the freedom to keep making art for everyone! So thank you in advance for helping make this dream a reality! I hope you continue to enjoy the works that I create! Thank you so much for taking the time to check out my Patreon page and for supporting me. It does go without saying that I am extremely grateful to you for your pledges. 4 Sept 2016: I have change some rules regarding reward and stuff. This will take affect September 2016! Now you have to wait after the payment to receive a packaged contain all the stuff you have pledge for, after you have paid. (around middle of the month). Example: User y started pledge 20 Agu. Payment for pledges goes out on Patron at 1-4 Sept. You will receive your package around 7-15 Sept.
People how missed out on yy month can get all on Gumroad at a later date. I WILL STILL SUBMIT ART! 7 Sept 2016: "Pledge 1" have been change to "tip jar"! "Free art (You will get immediately access to older artwork including NSFW, but you will not receive new items (September 2016))." 18 Sept 2016: Private/ personal art and private/ personal photos will not be included in any Patron/ Gumroad packages unless told otherwise. 15 Nov 2016: I am gonna take a break/ hiatus from dA and Patreon, beginning December 1st! Which means no art(maybe a Christmas art) on dA! Which means no rewards on Patreon! I will be back in January/ February. Yes, commission will still be open! 23 Mar 2017: I will be more active at the end of April on Patreon. 20 May 2017: Mass submit bunch of art. 23 June 2017: Mass submit bunch of art. 20 July 2017: Mass submit bunch of art.